I will keep on encouraging myself in You day by day. I hope and pray that we all are Seeking Gods purpose and power for this divinely delayed season that some of us are within. May we continue to press forward in our prayers for others and to Encourage others along this way. To continue to be a blessings to others. Let us join our faith, trust, love and hearts together in total praise and thanksgiving to Our LORD for He is already working things out for us! Amen. Let us continue to be consistent with our words and our actions. Let us remember that He has not forgotten us. Jesus my brother Remember me--You Are my LORD! I boldly reach out my faith to touch Your Faithfulness so that I may be given more of Your power to help me persevere through my situations. Thank You Lord, for I know that You already know about my problems, I know that You are with me, and I know that You are already working things out to help me in the midst of the storms that have risen up against me and my family. Thank You Jesus. I stand to give You praises and thanksgivings for I know, that It Is already done by Your promises to be here for those that Love YOU! I call upon the Wisdom of Your Holy Spirit to reveal to me Your purposes and to provide Your power for this Season of Divine Delay that I am within right now! I ask Your Holy Spirit to be increased and that I be decreased at this time Father. 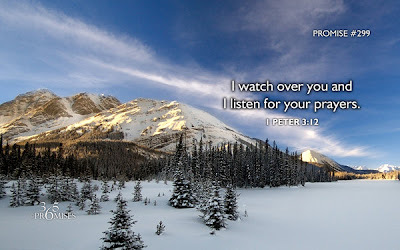 I Call out to You for I know You have already heard the concerns of my heart and You are on Your way to see about me! Others put their faith in things, status and people Lord, As for me Father, I believe You and I WILL enter Your house through the Abundance of Your steadfast love AND mercy. Your grace has glazed my path with all that You have provided. You have delivered me from all natural and spiritual strongholds that have hindered my way and growth. In Your name Jesus, I claim Spiritual Freedom today to be mine for evermore! Thank You LORD! Father, I search for Your presence throughout my days, I know that You are in the small things as well as the medium and large things –NOTHING is too small or too large for You LORD-You will use anything and everything to be a part of Your plans in my life. 'Little' plays a big part in the mosaic that You call my life. As I Live and need Your Joy that is Your gift and secures the harmony and beauty of my mosaic! I will Relax, I will not get tense or anxious, I will have no fear. How can I fear change when my life is hid with You My LORD. I will continue to be poised, and to allow Your Ways to balance my soul in this vacillating changing world around me and when it touches my life—I will boldly stand in my Faith and reach for Your Faithfulness Jesus as I know You Are my Help. 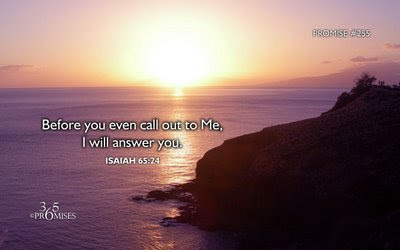 What can I do for You today Lord, being that You have taken from me my worries, my pain, my hurt, my disappointment, my frustrations, my fears—What can I do for You today Father? In the name of Jesus I thank you Father for Your Love provides everything that we need for this day. Amen. Have you noticed a few changes going on in your life? Great Changes that are affecting your life but are not caused by your hands? I know that you are a witness just as I am- to these great changes that are affecting other people’s lives also. Every day more and more loss of property in some form or fashion is being revealed. Every day more and more lack is revealed. Less food is available because of less money. More time spent together as a family unit because of less money to buy gas to go places apart. That's not bad at all. There is a lot of good coming from the messes that greed and selfishness created. Realizing that the newest “thing or piece of clothing-being seen where all the people are”, is not really necessary to have-because the money is needed in more important areas of our lives. Small things matter greatly to God. And how we react to the small things, how we take care of them is important to Him also. We can live without the extras—believe me people have done so in the past and people can do so today—God is STILL God! And Jesus is STILL Lord. For me and my family He still Is. Amen. These great changes that are happening right now are tests for us to learn what our hearts actually love. Are we really going to do with our lives as our mouths have spoken? To trust Jesus, to have faith in God, to be His witness to all that He is and has done. To be a follower of Jesus and to live for Him. These are a few of the confessions from the heart or mouth that many people speak out daily. God has taken these tests and has turned them around so that they will show you and me what will actually try to make us leave the Way of Jesus to return to the way of flesh. What losses of material things will make us give up on our Love Walk with Jesus because it is too much for us to handle? Or some of us think it is too hard to handle. 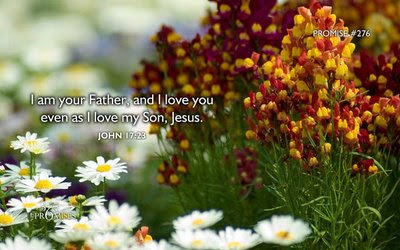 A test of our Love that we speak for God and Jesus our LORD! Will the tight times make you ignore others that are suffering more than you are? Will these tight financial times make you pray for others instead of for yourself? Are you going to allow the fears to make you snap at people? Are you going to be short tempered and angry because there is nothing that you are capbable of doing and you don't know what God is going to do? This is a time that is full of Great, Supernatural Power. God already knows everything about us—and that in and of itself is a blessing. Now is A time to see what you are really made of. A time to put your faith and trust into action. A time to constantly and consistently Seek The Lords Face to learn His purposes and receive His power to get through this Divinely Delayed Season in your life! A time to learn to Fully Obey the leading of His Holy Spirit. A time to speak what His love has already done for you and your family so that His angels have something to work with! 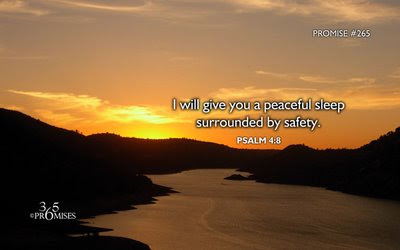 A time to seek His presence and to sit, Quietly at His feet, to be poured into from His love. To allow your spirit to be feed and restored in order to get back out there for another day. Amen. A time to seek out what does your heart really love? What does your faith and trust in things of this world really give you? A time to pay attention to all that His Holy Spirit reveals about the people we call friend and family. Many Will leave you when you are in need. Some may stay around for a moment, but many will leave your side and will treat you like you are not there. There is no where to go. There are many times throughout our journey that we will walk alone with Jesus being the only one willing to walk with us. And I thank You Jesus for this truth! Amen. This is a time to learn who you really are based on what is important to you—to learn what your true motives are for everything that you do on a daily basis. This is a time to learn how strong you really are, how obedient you can really be to His teachings and corrections. To see how much you have really grown in your relationship with Jesus. To understand your spiritual Growth that strengthens your relationship with Him. To see, understand and learn who He is creating you to be. Times like these that are upon us will separate the wheat from the tares! The threshing floor will not treat either any different. The refiners’ fire is burning hot and we are all being put into it to burn off the dross and allow the pureness of Him in our hearts to shine through. Many will run from the refiners’ fire just as many will run away from the threshing floor. We are being separated for His Purposes in our lives, Not our own. His Will Be Done, Not ours! It’s Tell and Show Time people! To quiet yourself down from the worries and cares inside & outside your heart and to listen to Him speak His Purposes and His power in your spirit is what will help you through this season. People always speak of how much they love Jesus, how much they are a Christian, and how much faith they have and how Much God loves them. Now is the time to put all that telling and talking to action! And God will see what we all have to Show! He watches to see what Fruit will we bear. The fruit always tells the kind of tree it comes from. Now is the time that our gardens are being weeded of all that God says should not be in us. The seeds that the enemy has planted in many are taking root and trying to sprout. Fear, selfishness, ego and pride of things and self, anger, unforgiveness. These are a few plants that do not need to grow in our gardens. They will keep you from your deliverance and your purpose set forth by Gods Will for your life. I will keep on encouraging myself in You my LORD day by day! ook for someone to be a blessing to. That is what Jesus did. As He walked His days on this earth in human form, He was an On Purpose Giver. His life is a message. Have you looked at the type of message your life tells everywhere you go? We have to check ourselves daily. And if you read through the Gospels you will see that Jesus was not giving away houses, money, cars, jobs, or any other things. He was giving away the Spiritual Gifts that come from our Father. There is a difference between outward works and having a heart for God. Jesus will love us into wholeness if we continue to grow, trust in Him and invest at all times in your relationship with God. Start your day off by thinking about how and to whom you can be a blessing to. There is nothing wrong with seeking your blessings by going to church or in general as you are moving throughout your day. Let us keep Jesus on our minds and remember the message that His life speaks before us as we continue to follow His Way. Let us always continue to Do Good On Purpose! "Even the mystery which has been hid from ages and from generations, but now is made manifest to His saints." I Will Not Give Up! I Cannot Give Up! I have His desire in my heart. I know to much about Him. I will keep on encouraging myself in You LORD day by day. I know there are other people that have had a life of hurt, pain, brokenness, suffering and sickness. I pray Your Love touch and cover them All in the name of Jesus, Amen.